Mark 1st Fire Arts is a collaborative pottery and ceramics studio owned and operated by Catharine Healy in Asheville NC. 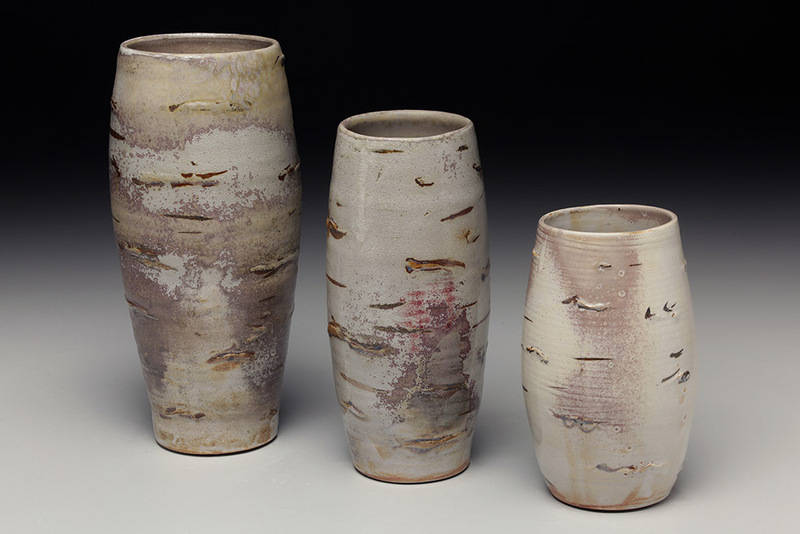 Catharine creates fine Ceramic Art in a shared working studio with other innovative artists. The vision of Mark 1st is to create connectivity for the growth and fostering of creativity. 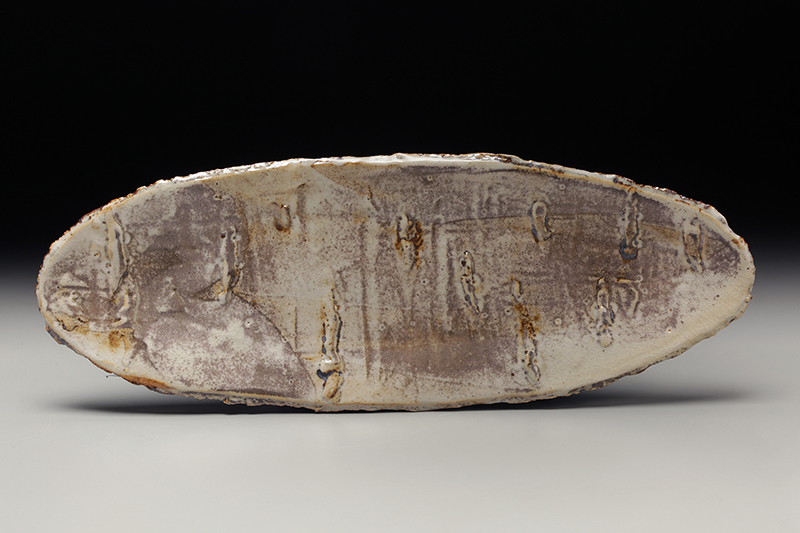 Catharine Healy is an artist creating Contemporary Ceramic Art using the surface as a canvas to create texture and color contrasts that excites the eye. Catharine’s 20 years of experience providing unique custom Interior solutions for clients both Residential Interior Design and custom Ceramic Art pieces, has given her immense joy while sharing in the collaborative process. 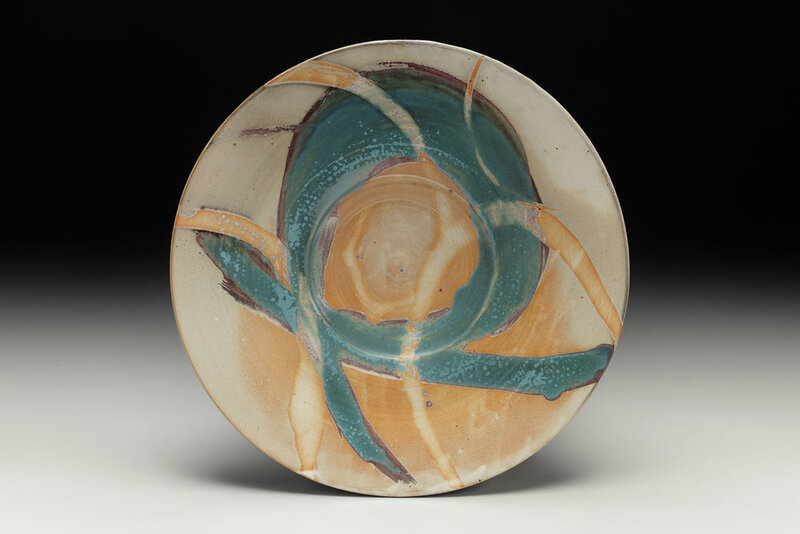 Most of her fine art ceramics are glazed in an ancient Japanese glaze called Shino. 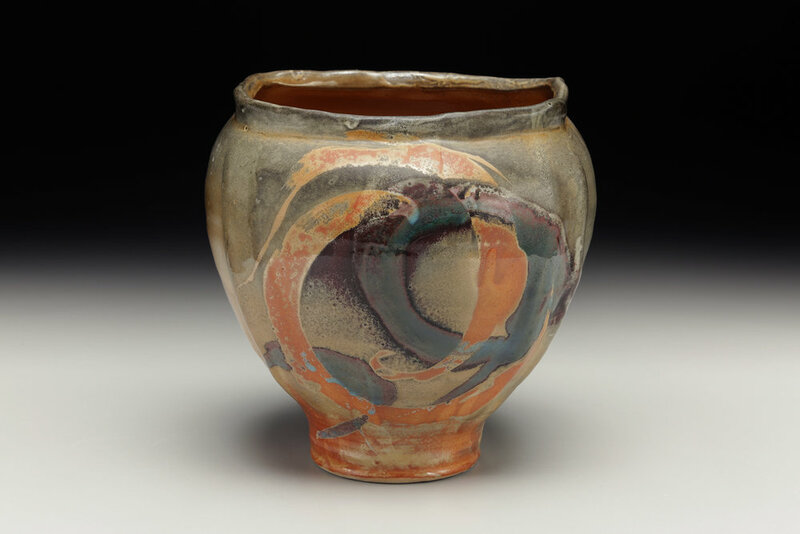 Shino glazes have been called a glaze of a thousand faces due to their unpredictability which provides constant amazement to her collectors. Catharine was first exposed to Japanese culture while attending Sunday school as a small child. 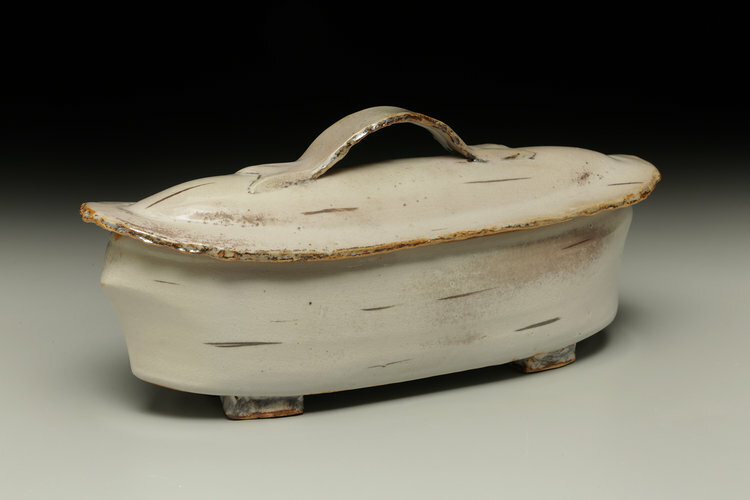 Japanese ceramics celebrate the beauty of nature; it will always remain a valued influence. 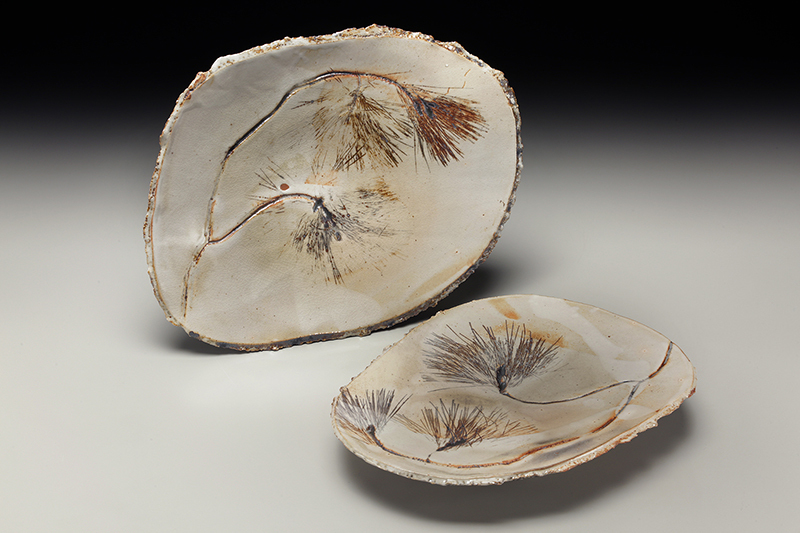 Catharine is a ceramic artist inspired by natural forms. She creates sculptural ceramic art inspired by nature, being drawn to the textures, tones, and forms found in the natural world. The textures found in the bark of a birch tree and the vein patterns of leaves have intrigued her since childhood. Catharine’s Art Pottery Vases often start with voluminous hand thrown ceramic forms finished smooth to provide a canvas for the brushwork. After applying the Shino Glaze, energetic brushstrokes made with wax are followed by Oribe glaze applied using Japanese bamboo brushes. She frequently adds additional marks to her pieces by placing them in the wind while they dry. She has discovered that the frost like formation on the drying glaze has wonderful effects on the finished fired pieces. Catharine has created her work using both and warm and cool. The fine art ceramics are high fired to Cone 10 in a gas reduction kiln, using white stoneware clay. Catharine Healy creates fine art ceramics using hand-made and wheel thrown pottery techniques. She has enjoyed making ceramic art using the Japanese Raku firing method. She loves the mystery and unpredictability. She enjoys exploration with carbon trapping Shino glazes, combining colorful energetic brushwork in wax resist with an Oribe glaze overlay. Most forms are wheel thrown pottery vases with voluminous smooth surfaces that provide a canvas for the colorful brushwork. 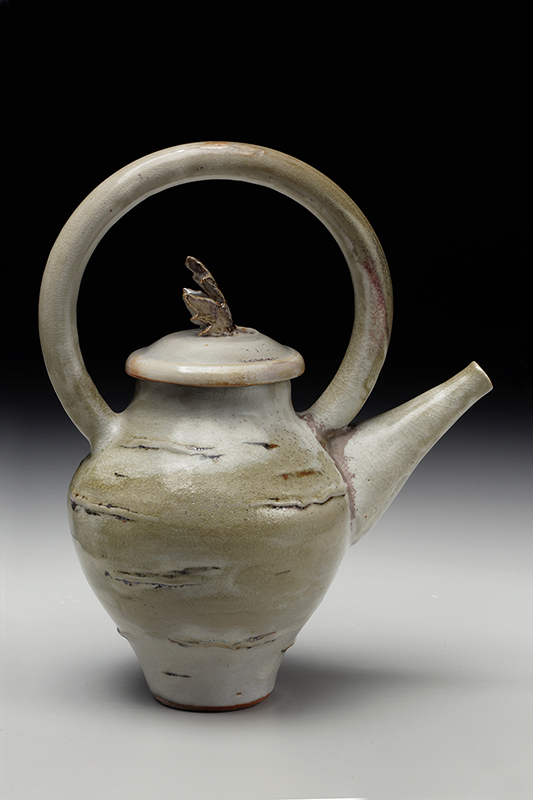 She has enjoyed landing on a glaze process bringing similar exciting results as Raku work with the added benefit of high fire functional pottery.